DIY plywood shelves using plywood. In this video tutorial, I will show you how to build simple plywood shelf using a kreg jig for pocket hole joinery. This is such a fast easy project for making your own shelves. The skill level required to make these shelves would be for a beginner. This is a great beginner woodworker project. 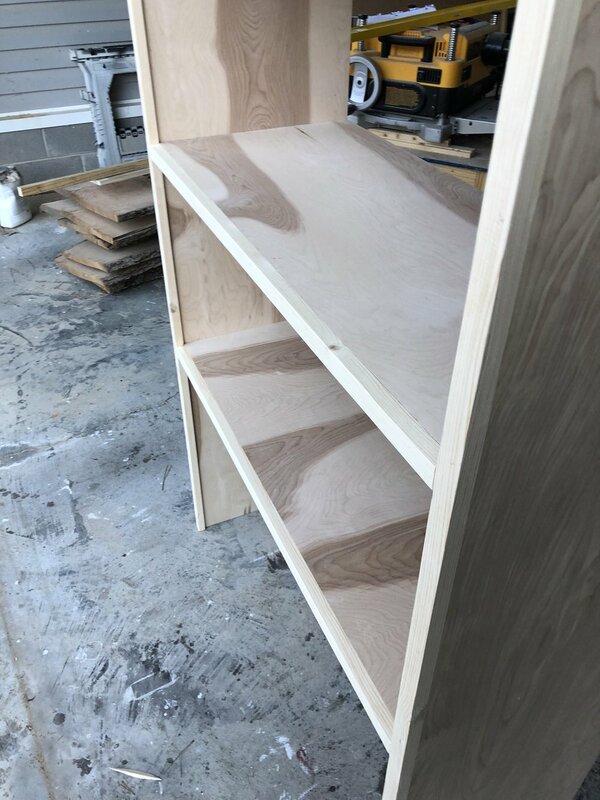 I am using 3/4" sanded birch plywood to build these shelves. Using 3/4" plywood makes a strong shelf that will last a long time. Pocket hole joinery with the Kreg K5 makes a strong joint as well. Give this project a try and let me know what you think!